Last fall, I reviewed a couple of books in the Quilts of Love series, the most recent being Tempest's Course. 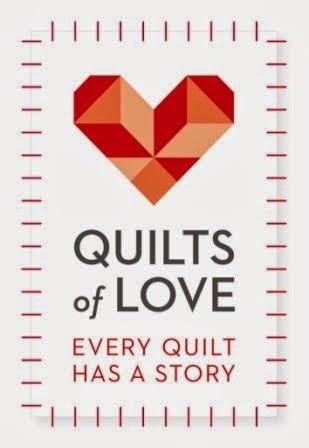 I really like the premise -- loads of different authors, writing books in different genres, tied together by the fact that each book features a quilt (or quilts) in some way. 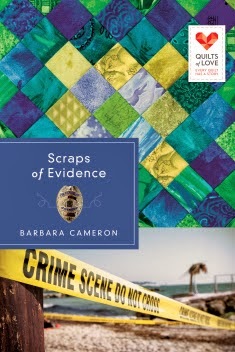 Scraps of Evidence, by Barbara Cameron, is a mystery. Not just a mystery, but a murder mystery. And a romantic mystery too. That is exactly the kind of book I love to lose myself in for a time. Scraps of Evidence was a fun read. Though I have to say, I pegged just who the serial killer was before I knew we were looking for a serial killer. I kept hoping I was wrong, and there were a couple points in the story where I wavered briefly in my thoughts on 'whodunit' but I was correct. What I enjoyed about this book is that, while a very easy book to read, it did bring up some interesting issues. A homeless man is a suspect, and there is some back and forth about whether the homeless actually commit more violent crime than other people. Almost everyone in the story is a workaholic -- at least Tess is. Logan too, really. Is that what our priorities should be? Why do horrible things happen to decent people? And one that really hit home for me right now -- what do you do when you see signs of abuse in people you know? And how do you step in? Fortunately, the story didn't give pat answers and even the characters didn't figure it all out in their particular situation. Gave me something to ponder.